What a thrill for the GoodBookey team last week, as we experienced our first Consumer Electronics Show in Las Vegas. Bigger and better than ever, CES now seems to transcend consumer electronics in our evolving world where the lines between technology and everyday life blur more by the day. For the duration of the week, we set up camp at the Aria Casino in the Sports Zone of what’s known as C-Space, an immersive experience that unites the world’s innovators, marketers, and creatives. The Sports Zone specifically serves as a platform to showcase game-changing innovations that will affect athletic performance, fan engagement, and the business of sports. Obviously, the Sports Zone was a great place for us to show off our evolving app, where we are going beyond peer-to-peer wagering for charity and expanding into prop bets and sponsored contests that tie into league seasons and more. As a team, we had a great time checking out developments from other industry experts in our field and seeing the latest and greatest innovations in consumer electronics. We connected with a lot of professionals that really believed in what we’re doing with GoodBookey, which was both humbling and refreshing after all the hard work we’ve put into the GoodBookey experience. Not only did we walk away feeling like we had spread the word about GoodBookey on the consumer level, but we also left feeling like we made some great corporate connections that could help take GoodBookey and fundraising on our platform to the next level. That’s the power of CES, and why you see it growing year after year, pushing its boundaries of influence to greater levels each time. 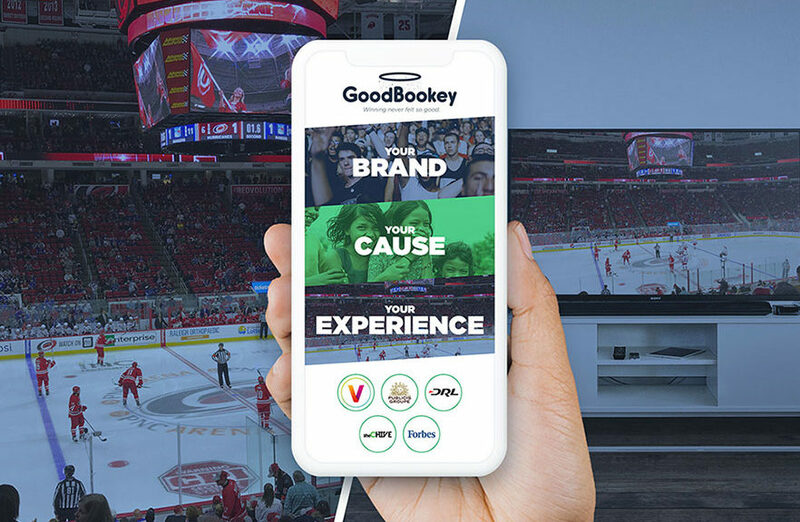 Shoot us a note to learn how you can partner with GoodBookey to help amplify your brand’s social impact while connecting with your customers on a whole new level.